NEW DELHI: Polycom has secured the “Video Conferencing Vendor of the year 2015” award by Frost & Sullivan at their annual India ICT Awards ceremony. According to Frost & Sullivan, Polycom led the video conferencing systems and infrastructure segment in India, with a 44 percent market share in 2014. Polycom received the award based on a variety of parameters including revenue and market share growth, portfolio diversity, unified communication integration, and go-to-market strategy. 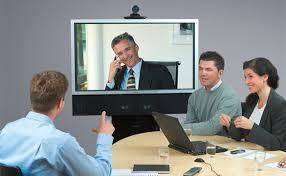 According to a report by Frost & Sullivan on the video conferencing endpoints and infrastructure market in India for 2014, Polycom showcased a growth of 30.4 percent in the video conferencing endpoint market (ahead of the industry growth rate of 25.3 percent ), to capture 44 percent market share. In the video conferencing infrastructure market, Polycom witnessed growth of 1.7 percent over the last year (compared to industry growth of 0.5 percent ), to capture 40.2 percent market share. The Frost & Sullivan report estimates that the value of the video conferencing market in India was at Rs 474.86 crores, accounting for a growth rate of 19.3 percent YoY in CY 2014. The industry is likely to sustain a compound annual growth rate (CAGR) of 12.3 percent by CY 2021, attributed to industry trends due to the growth in India in the enterprise, government, education, and healthcare sectors where video and collaboration tools are helping these sectors to redefine their business models. Polycom bags ‘video conferencing vendor of the year’ award at Frost & Sullivan event 0 out of 5 based on 0 ratings. 0 user reviews.